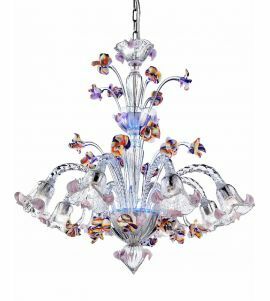 The murano classic style meets modern leds for a unique diffused effect light! 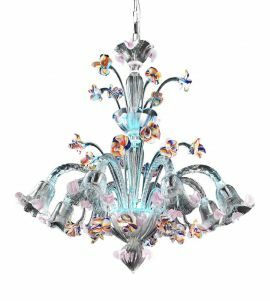 The inclusion of LED lights in the Murano Glass Chandeliers featured in this category allow unusual plays of light, enhance the transparency, colors and atmosphere: the technology enhances the splendor of tradition, all strictly in the famous mark and style of artistic Murano Glass. 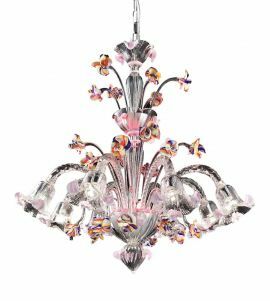 These unique works of glass art allow you to combine the classic with the modern in order to create a welcoming atmosphere in your home or the place where you do business. 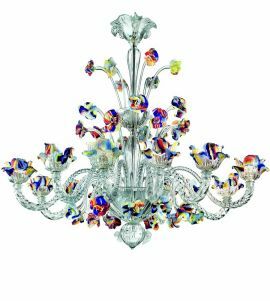 The merge of LED technology with the classical elements of Venetian Chandeliers make these pieces suitable for many different interior designs and architectural styles.